Estella's Revenge: #AMonthofFaves: Faves From the First Week! #AMonthofFaves: Faves From the First Week! Don't forget to pop over and visit the other lovely ladies from #AMonthofFaves at Girlxoxo.com and TravelingWithT.com! Kristen at We Be Reading looks back at some of her favorite things from 2015 via Instagram! Delicious food, family memories, great vacations. Sharlene from Olduvai Reads has them all in her 2015 favorites. The founder of this event, Tanya Patrice from Girlxoxo.com. always has the BEST recommendations and favorites (yo, battery pack!). Her subtitle: "Lifehacking the World" is such a great descriptor of her blog. Tara from Running 'n' Reading and I have similar bookish tastes, so I'll be jumping on her "Five Books Worth the Hype" list! Sarah's Book Shelves has me on pins and needles because Fates and Furies made her "worth the hype" AND "not worth the hype" lists! Aside from #AMonthofFaves posts, I'm also really excited about Entomology of a Bookworm's 2016 Clean Your Reader event! It's far too easy to forget about e-books and pretend they're not stacking up, so I'll be in on this for the first quarter of the year! I hope you'll share some of your own favorite finds from this week and link up down below! Thanks for sharing my post! I'm sharing my picking favorites (including one of yours) via Twitter throughout the day. Oh, that is such a great idea! Isn't it great? My RSS feed reader runneth over! Exactly! Love overlapping and stacking these kinds of events. I am behind on all the posts, but I have found something to share. I love this event! And all of you for hosting! Yay! So glad you're having a good time! Everyone did...loved reading all of them. I enjoyed the top by book FAVES question the most. Me too! And there are so many great topics still coming up! I too am tempted by clean your reader. Come join us! No rules, just reading. ﻿﻿Thanks for sharing my post! And also for co-hosting this event! It's definitely what I needed to kick my blogging muscle back into shape. Heading over to check out Sarah's post because I just added Fates & Furies to my book clubs reading list for 2016. 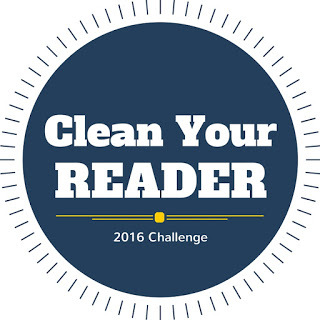 AND heading over to sign up for the Cleaning Your Reader challenge because I so need to get on that. Yay! Glad to have you joining Clean Your Reader! Thanks for sharing Clean Your Reader. Your other links have definitely added to my blog reading list in the best way... I'm behind on the Month of Faves post but am loving playing catch up tonight. So glad you put this on my radar!